...and MUTE has several of them. The basic plot of the film has a man chasing a girl in a forest and catching her. He then chains her up with two other people. And that is all I can say because from there it gets interesting. 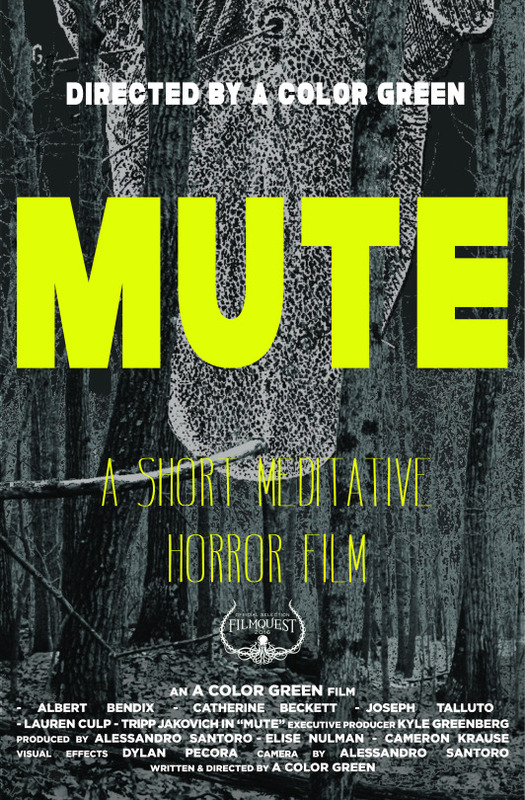 Taking the basic mad slasher tropes and turning them on their head MUTE plays as if it were ripped out of a longer film ala FRIDAY THE 13TH or THE BURNING or anything similar. What it does with the tropes is the film. To be honest I was intrigued, then kind of disappointed because I thought things would go one way only to find it took a hard left turn. Its the refusal to be cliche that makes MUTE stand out. While the press material talks about the actors and the film being influenced by Nordic Cinema, none of that matters because this is just a neat little film. It doesn't need any inflation to sell it, it's just a damn good film.